Botox and Dysport (French version of Botox) are relatively simple and safe cosmetic procedures certified by the FDA. Containing powerful peptides, both Botox and Dysport help facial muscles relax giving you a satisfying and rejuvenated look. Aside from helping erase the common frown lines, Botox and Dysport can also aid in correcting vertical lip lines, brow lifts, downward pointing lip corners, neck bands and contouring of the face to the desired shape. 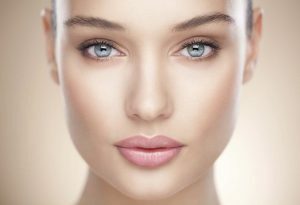 Aside from offering Botox and Dysport, we also offer Expression, Perlane and Restylane to meet a wide variety of needs. So if you are looking for a quick and easy, inexpensive way to get a real makeover give us a call or book an appointment online. We’ll have you looking young and rejuvenated in no time. Looking for a natural and refreshed look? By erasing frown lines and wrinkles with FDA approved Botox & Dysport injectibles you can give your self an instant face-lift and self-esteem boost. At MD Laser and Cosmetics we can provide safe and artistic Botox & Dysport treatment to rejuvenate your look and make you look naturally amazing. By carefully assessing your individual facial muscle and bone structure, we will tailor your treatment to create a natural lift so you look years younger. Botox and Dysport injectables are highly effective in reducing or preventing wrinkles from your face and give a boost to your self-confidence. During your Botox and Dysport treatment, small needle is used to inject and relax muscles causing wrinkles or undesired downward sagging. It is great for naturally lifting your eyebrows, corners of mouth, smoothing the neckbands and chin areas and minimizing square jaw. One can literally erase the aging features and use the natural muscles to reshape facial features for a younger look. The best part about our treatment is that we have the experience and artistic expertise to give you an astonishing makeover to enhance your image. We use strong numbing cream and gentle techniques to reduce discomfort. You don’t need to worry about looking frozen or “done” from Botox and Dysport treatments with us because we understand the art of creating beauty. We also offer Juvederm treatments and many other FDA approved treatments that can remove severe facial wrinkles. Combination of various skin rejuvenation procedure will give you fuller and enhanced face and make you look and feel younger. So get ready for your next event or just look great for your selfie and book an appointment today.